Q. Great to have you! Can you tell us about your story? 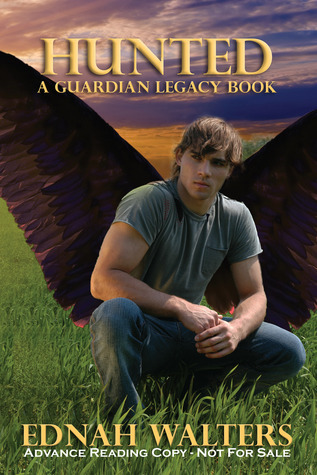 The Guardian Legacy series is about teen Guardians, part human and part fallen angels children, who fight demons. In HUNTED, Lil, my main character, is concerned with erasing her boyfriend Bran’s evil past by canceling the contracts he’d signed when he worked for a demon. What she and her friends don’t realize is there are consequences to canceling contracts and someone will have to pay. Lil’s greatest strength and flaw is loyalty. Once she believes someone deserves her loyalty, she’d do whatever it takes to help and defend them. It gets her in some very crazy spots. Plotting. I hate to plot, yet I must to some degree. How come you don’t have your pictures anywhere online? LOL. Q. A-hem, camera shy? I actually wondered about that! What are you working on now? Do you tend to work on multiple projects or one at a time? I’m working on the next GL story, FORGOTTEN. I’m also working on a new series, RUNES. Book 1 will be released May 20th, and I’m working on book 2. I’m also working on an adult romance since I write contemporary romance under E. B. Walters. I multi-task with the best of them. Q. Nice! What is your favorite line from this book? Lil and Bran just made their vows in the spur of the moment and exchanged them while dangling in mid-hair. Well, not exactly dangling. He was flying with her in his arms. Then he decided they didn’t need rituals to claim each other. They had the elements as their witnesses. No, I wanted to be a chemist at some pharmaceutical lab, making new drugs. Q. So, you’re a science girl? Awesome. Was there any part that you struggled with or avoided writing? I wish I had more time to read. I’m reading a fellow Spencer Hill Press author’s book. Finn Fannigan. I’m a serious zumba dancer. It’s how I stay sane and stay balanced. Q, What is the best young adult book you’ve read so far in 2013? Contemporary romance. My agent told me and she’s always right. Oh yes, I’ve wanted to quit. When those rejection letters kept coming, I wanted to quit. When my sells are pitiful, I want to quit, but you know what, writing is like reading and I’d shrivel up if I didn’t write or read. This entry was posted on Friday, April 12th, 2013 at 11:08 am	and tagged with author interview, books, Ednah Walters, Fantasy, i am a reader not a writer, new release, readers, teen fiction, writers, young adult books and posted in Author Interviews. You can follow any responses to this entry through the RSS 2.0 feed. « January Black Book Blast and Blog Tour Giveaway! I agree about Kelly’s book. It was awesome! I haven’t had a chance to read Ednah’s books yet, but I want to! Great interview!